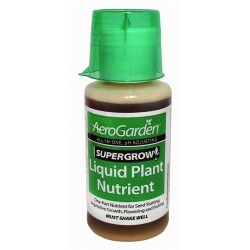 AeroGarden nutrients contain a completely balanced, proprietary mix of macro and micro nutrients that give plants everything they need to thrive and grow. They contain a proprietary organic buffering system that automatically brings water pH into proper range for plant growth in most applications. 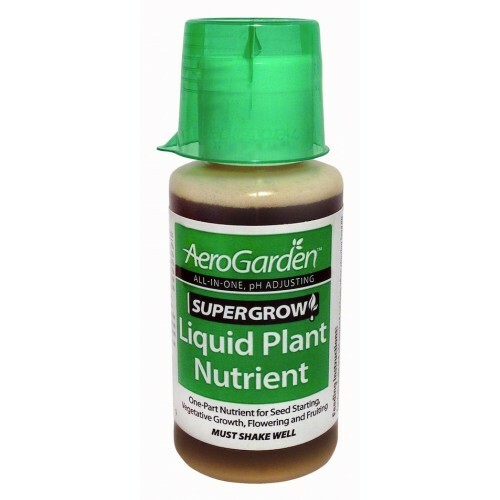 This bottle contains 88 ml and is enough for 11 plant feedings in the AeroGarden classic (24 weeks). Add 8 ml every two weeks when instructed by "Add Nutrient" light. For other hydroponic use, add 8 ml to one gallon of water for herbs, salad greens and most flowers. Use 16 ml per gallon for larger plants and vegetables.